Home > IPO > What Has Happened With Twitter’s Shares Since the Launch Date? What Has Happened With Twitter’s Shares Since the Launch Date? When Facebook launched their IPO it went through more than its share of teething troubles. Twitter took heed of those mistakes and was decidedly more cautious when it came to launching its own IPO. So let’s take a look at what has happened since the all important first day of trading. This was the top figure the share price managed to hit on the first day the shares were traded. The IPO price had been set at $26 per share, so this high point represented a figure that was almost double what it had been at its first valuation. The opening price might have been lower than the high mentioned above, but it wasn’t far below it – not when you keep that $26 per share figure in mind. In actual fact it was $45.10, so things were certainly looking healthy. And what about the closing price on day one? This was slightly lower than the opening figure, at $44.90. However the picture was still a lot rosier than it had been for Facebook. Whether this remains the case for the long term has yet to be seen. Where do the shares stand at the moment? At the time of writing they were valued at $41.00 each. The share price has had its ups and downs over the short term of course, and this will only continue into the future. On the day of writing this, the share price had dropped slightly from the start of trading, before evening off at around $41.00 each. This is perhaps the most important thing to remember about Twitter and its perceived value. We have seen internet companies dropping in value before, and while it is too early to say what will happen here, some have indicated that Twitter has many challenges to surpass before it can truly celebrate. For example one report stated that every Twitter user was able to generate $1.16 for the company. This is a long way away from the $130 value put on each user by the share price as it stood earlier this month. Indeed it is not far from that same price now. Twitter is looking at ways of monetising its website in order to bring in more revenue and hopefully transform several years of losses into a profit of sorts. It has yet to make a profit at all, although those in charge are investing in the future of the business instead of letting it sit idle and enjoying small profits. We shall be watching closely to see what happens in the near future. One thing is certain though – the share price (whatever it may be) is only part of the equation. The future of Twitter and its shares largely depends on how well the company adapts to the challenge of becoming a real money maker. It may be some time before we have the answer to that particular question. 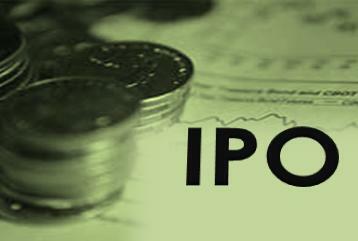 Why Do Companies Have IPOs?